With the availability of the best Single Metal Suction Cups in market one can easily use them to display the decorations around in the best way. 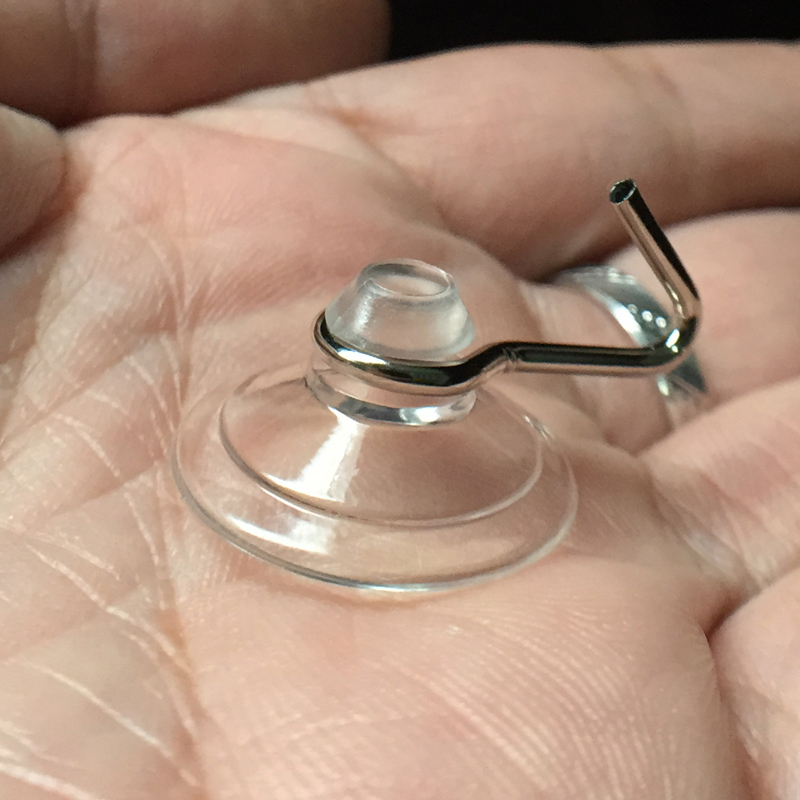 With the 20mm diameter, clear plastic finish body made up of Silicon material makes Mini Suction Cups with Hooks With these suction cups you can easily display Holiday Decorations, Sale Signs, Art Displays, Stained glass Ornaments, Sun Catchers, Paper Pennates, Fabric banners etc. 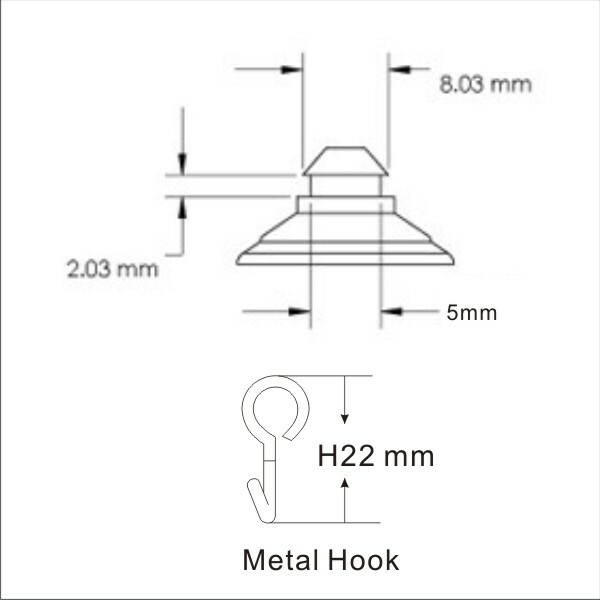 The extra strength that comes with steel hooks makes the KF-20MH-A, Mini Suction Cups with Hooks more useful and attractive. 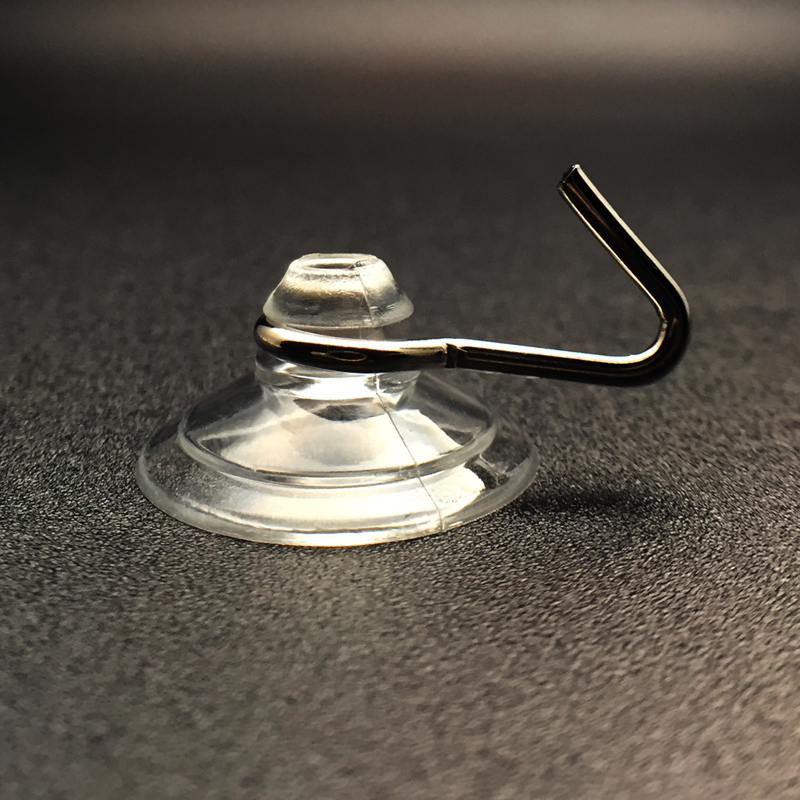 Suction cups are extremely useful in day to day life as they are very durable and they are manufactured to handle quiet a load of weight. 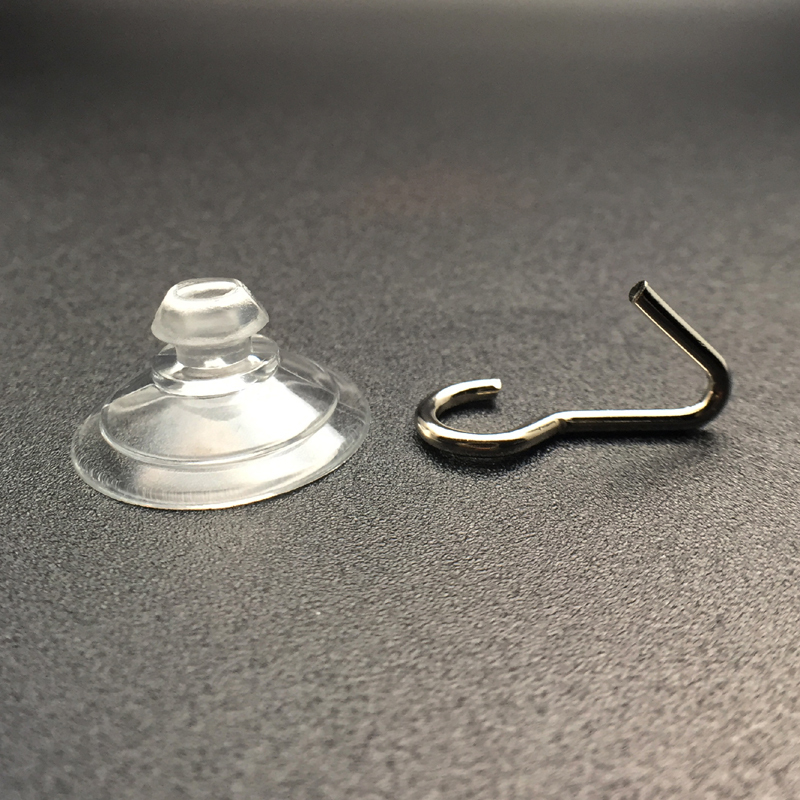 The best part about using the Suction cup for displaying the decorations or useful stuff around is that it will not affect the windows, walls or any surface they are applied at. 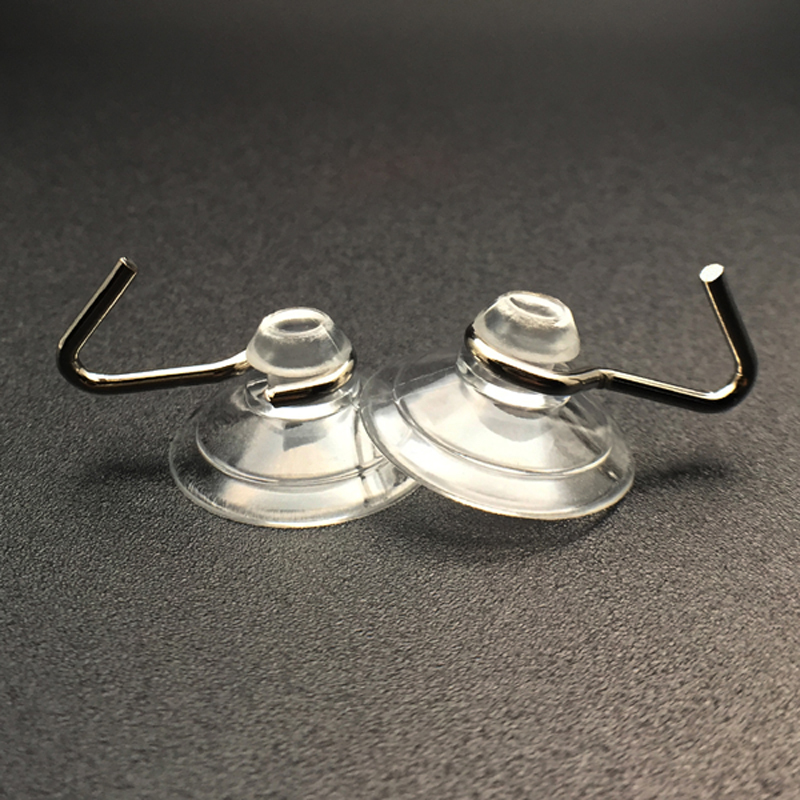 There are many pros of the Suction cups that will attract you towards them include: It won’t affect the surface it is applied on as there is no glue or sticky substance used for making it stick to the surface. These are implemented to hold heavy weight and steel hook helps hang the things around. The best part is these are available and are ready for immediate shipment.